This book's thoughtful and accurate balance of developmental, clinical-diagnostic, and experimental approaches to child and adolescent psychopathology is accessible to a broad range of readers. 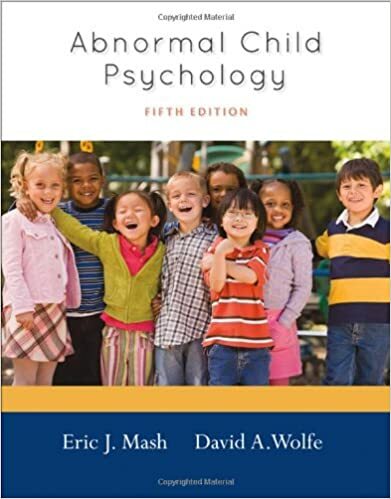 Up-to-date and forward-looking, the book continues to provide the most authoritative, scholarly, and comprehensive coverage of these subjects, tracing the developmental course of each disorder and showing how biological, psychological, and sociocultural factors interact with a child's environment. Coverage includes the DSM-IV-TR and dimensional approaches to classification as well as evidence-based assessment and treatment, contemporary research, and the latest theories related to the predominantly inattentive ADHD subtype, early-onset and the developmental propensity model of conduct disorder, the triple vulnerability model of anxiety, the tripartite model in children, depression, and autism.